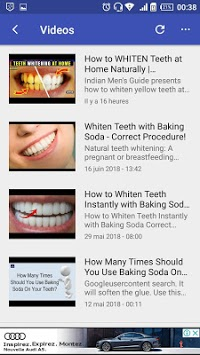 Do you want to have white and sparkling teeth? Ever wonder how to achieve a Hollywood smile? You are just in the right app. Today there is a lot of bleaching or teeth whitening products that are sold in the market. These products are usually costly and is painful to use. Why bother spending a lot of money when you can have whiter teeth using remedies which can be found at your home. * Use Baking Soda with Water. * Use Baking Soda with Toothpaste. * Use Baking Soda with Lemon Juice. 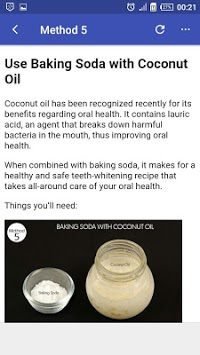 * Use Baking Soda with Coconut Oil. * Use Baking Soda with Strawberries and Salt. 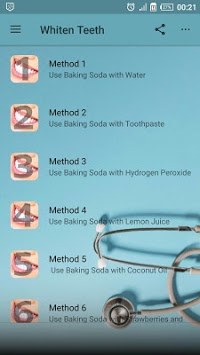 * Use Baking Soda with Hydrogen Peroxide.